A complete role-playing game of discovery, power, horror and conspiracy. 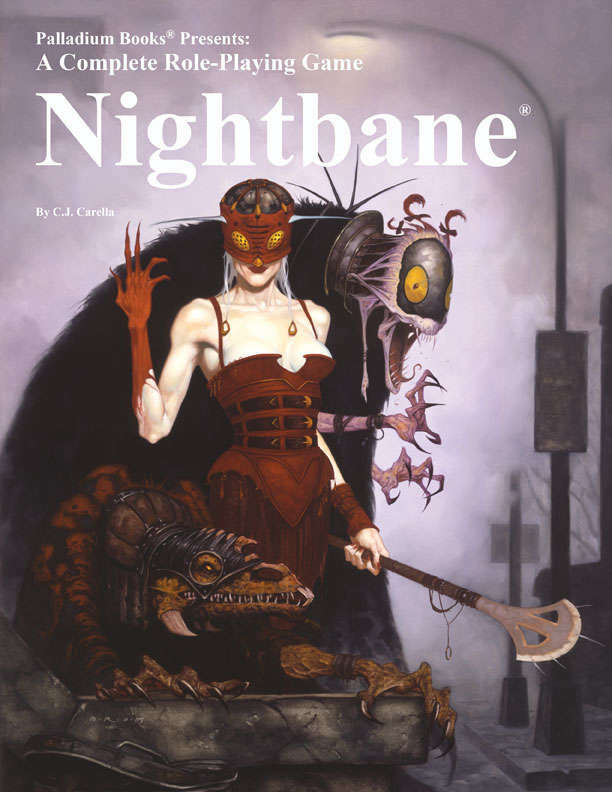 The Nightbane® R.C.C. enables gamers to play supernatural shape-changers. Beings who can appear completely human, but are really superhuman creatures from the twilight dimension known as the Nightlands™. Nightbane creation tables — each Nightbane looks different (horrific, human, or strangely beautiful) and possesses different abilities. Nightbane “Talents” are supernatural and magic abilities of incredible power and range. The only catch, they must shed their human disguise and become a monster to use them. Nearly a dozen other O.C.C.s and R.C.C.s including the Sorcerer, Mystic, Vampire, Wampyr, Snake Bird, and Nightbane Mystic. New magic, psionic abilities and supernatural powers. Nightlords and their minions like the Hunters, Hounds, and Hollow Men. The Nightlands™, secret organizations, cults, madmen, and tons of campaign and adventure ideas. Compatible with Beyond the Supernatural™, Heroes Unlimited™, Ninjas & Superspies™, and Mystic China™, and adaptable to Rifts® and the entire Palladium Megaverse®. This title was added to our catalog on February 08, 2018.